Portable mats make beaches accessible – about time! Now here’s a COOL design for those HOT summer days! Mobi-mats are lightweight, durable, portable mats that can be rolled out onto sandy beaches making them accessible to wheelchairs, walkers, canes and strollers. These mats are being used on beaches around the world including Rockaway Beach in New York and beaches in Rio de Janeiro. 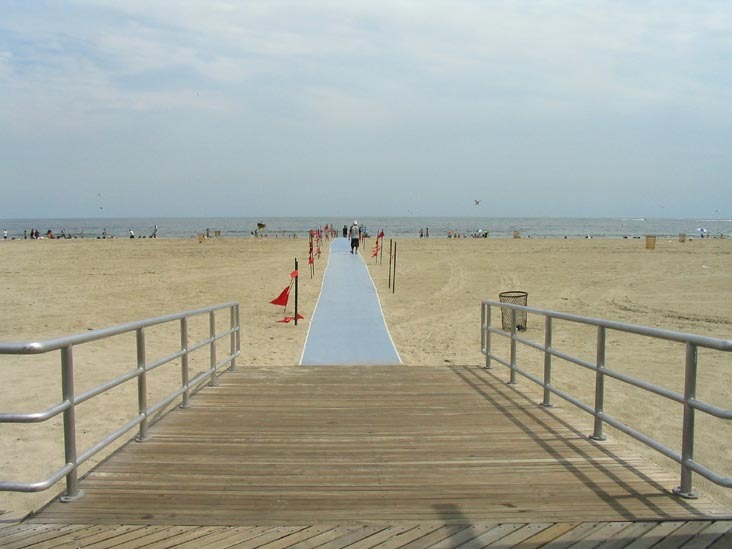 Recently, Wasaga Beach just outside of Toronto purchased some mobi-mats making their beach one of the most accessible in the province. CBC Metro Morning interviewed town clerk Twyla Nicholson about the town councils decision to purchase the mats, and the impact its having on residents and visitors to the beach. This start up has ALL the right ideas! Scaffolding is not only UGLY, it creates significant barriers for people with mobility challenges including older folks, people with disabilities and parents with strollers. I lived in NYC for 5 years and would avoid sidewalks lined with scaffolding whenever possible because it was so unpleasant and felt even scary and dangerous sometimes. Resting places like these are essential for those of us who can’t quite ‘make it all the way’ and health-promoting for all of us as they provide opportunities for social interaction. Way to go SOFTWALKS! 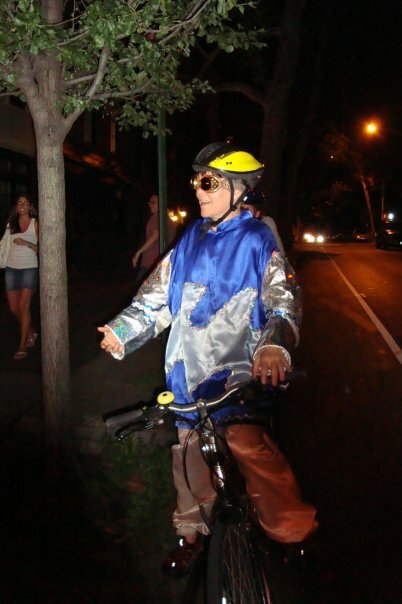 My bike is MY mobility aid and I have it (and me!) pimped out for FUNCTION and FASHION. I”m always on the lookout for other people’s ride and get inspired by the way we personalize them! 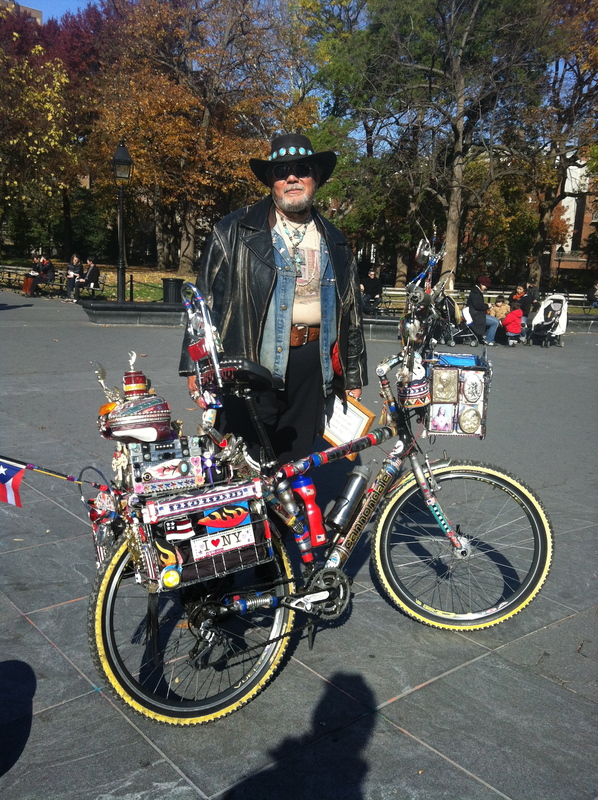 Check out THIS guy – LOVE IT!